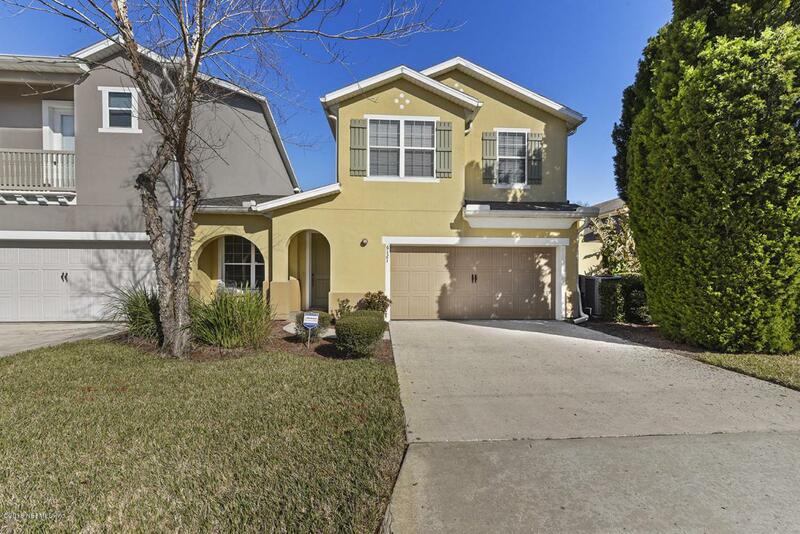 Maintenance free living with this gorgeous townhome located in desirable Bartram Park Community. Beautifully decorated & move in ready. The main floor includes master suite with access to private patio, walk in closet, bath with garden tub, separate shower & double vanities. Large open concept kitchen, dining & living areas include access to 2nd private patio. Half bath, laundry room and walk out to double car garage complete the main floor of this unit. Upstairs you will find a roomy loft/second living room, 2 large bedrooms, a full bathroom and a spacious private den. You'll love the California closet systems throughout this home. Maintenance free living with beautiful amenities in this spectacular area!